Council Committee of the Whole Meetings are regularly held at 5:00 PM on the First Tuesday of every month.The function of the Committee of the Whole is to discuss and debate the details of matters brought before Council prior to motions being tabled. 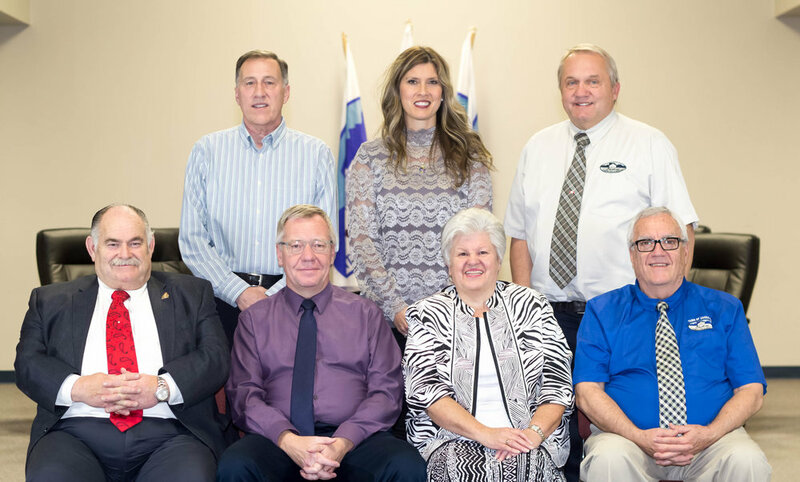 Regular Council Meetings are regularly held at 5:00 PM on the Second and Fourth Tuesdays of every month.The function of Regular Council Meetings is to discuss, debate, and pass resolutions regarding matters brought before Council. Contact the Town of Cardston CAO to request time on an upcoming agenda. Please phone the Town office at 403-653-3366. Provide a written submission to the Town office no later than the Thursday prior to the meeting you have been assigned to attend. Please let the Town know if you have audio/visual requirements or computer requirements well in advance of the presentation. If a donation is being requested, please fill out a donation request form (available at the Town Office) and submit with the written proposal. Designate 1 spokesperson for the group if more than one person is attending. Council meetings are not public hearings or town hall meetings, and normally one designated spokesperson is appropriate to present the issue. Please make sure that the presentation clearly spells out the issue of concern or specifically makes the request for the desired action or item. Normally, 10 -15 minutes is allocated for delegations to speak, and time is allocated for questions from Council members. Following the presentation and questions, the delegation will be excused to the gallery, whereby you may choose to stay for the remainder of the meeting or you may leave. Town Administration will follow up with any instructions from Council following the meeting. Please note, that the public is welcome to attend all Council meetings at any time without any notice to Council or Administration. This procedure is only if the party wishes to make a formal presentation to Council. Maggie moved to Cardston in the summer of 2008 where she intended to retire and live a quiet life with her husband Don. She completed a teaching career that started in B.C in 1985 and that ended in 2008 in Belgium where she served for five years as Principal of the Canadian Military School on a NATO base. Maggie had a varied professional experience prior to embracing the field of education. She worked in banking and co-owned and operated two businesses with her husband. Maggie graduated from high school in South France and started her University studies in Nice, France and then studied Economics in Paris where she earned the equivalent to a Bachelor of Economics Degree. While in Paris, she concurrently studied for two years at the Institute of Political Sciences. While in Canada, Maggie earned a Letter of Accomplishment from the Institute of Canadian Bankers. In 1983, while in B.C., she decided on a career change and earned a Bachelor’s Degree in Education and a Master of Arts. After moving to Cardston, Maggie started to offer her time as a volunteer in the community. She presently still serves her community in the Auxiliary for the Hospital and her Church in various capacities. In 2010, Maggie was encouraged by her friends to enter local politics. She has received great support from the citizens of this town and she feels it a privilege to be able to serve as the Mayor of Cardston. Maggie loves working as a member of Council. She is an eager team player, determined to analyze facts to understand problems, plans and projects. She believes in being proactive and in searching for new creative and beneficial ideas. She is resolute in seeking fiscally responsible solutions. Above all she believes in transparency at all levels and in regular and open communication with Council members and the citizens whom she serves. Born and raised in Cardston, he Graduated from Cardston High school and went on to pursue further education at Lethbridge Community College in Recreation Therapy. He graduated from S.A.I.T technical campus in Calgary as Journeyman Automotive Technician with interprovincial Red Seal status, and over the course of 47 years worked in the automotive industry, and instructed automotives at the College level, successfully apprenticing many young men in automotives to journeyman status. Richard is retired, he and his wife, Janice Neilson Bengry, are the proud parents of 3 children, and 11 grandchildren. This is not Richard's first term on Town Council. He previously served as a Councillor from 2006-2010, developed the C.O.P. program for Cardston, Magrath, and the village of Glenwood, and is one of the founding members of the Local television station, Channel 10. Currently Richard serves on the Police Ad-hoc Committee, Audit Committee, Chinook Foundation (which includes Temple City Villa and Diamond Willow Terrace), Airport Committee, Cardston Emergency Services Committee, and The Mormon Trail Tourist Initiative Committee. Richard truly loves his community, and continues to look at different ways he may help make it a prosperous, safe, and family oriented place for people to raise a family. Dennis Barnes was born in 1948 in Toronto Ontario and was raised in Southern Ontario. At age 24 he took a giant step to move west to Alberta in 1973. Just a couple days after arriving in Lethbridge area he found work on a ranch in Orton just East of Fort Macleod and eventually found his way to Cardston in the summer of 1973. Dennis found work with the Cardston School Division as a Caretaker at the Glenwood School for a year or so and then came back to Cardston to work with Rex Miller at the Beaver Lumber outlet and has had various work experiences that have kept him in the Cardston area. Dennis met his wife Diane in Raymond in February 1975 and they were married on May 15,1975. They have lived most of the past 39 years in Cardston except for a brief one and a half years back in Southern Ontario. They have raised 3 boys and 2 girls and have been blessed with 8 grandsons and 7 grand-daughters. Dennis graduated from High School with a four year trades diploma majoring in Drafting. He has two diplomas from Lethbridge College one as a Construction Technician and a two year diploma in Public Relations and Advertising and several years of Social Studies education from the University of Lethbridge. He moved to Alberta because work was difficult to find and keep. Since moving here work has not been an issue and Dennis has worked for himself for the past 30 years or so with the past 18 & 1/2 years as a professional Realtor and currently works with Realty Executives Devonshire. Dennis and Diane have been actively involved in the political process since the 1980’s and have been promoters of good responsible government here in Cardston. Diane was on the Federal Lethbridge Conservative Riding Association for three years and Dennis was very supportive of her endeavor there. Dennis has been a trustee with the Cardston Library Board for almost 14 years and served for approximately 23 years as a Temple Worker in the Cardston Temple. He currently is serving his first term as a councillor with the Cardston Town Council and is enjoying the opportunity to serve the citizens of Cardston. In his role as a Town Councillor he serves on several boards. These include Town representative to the Jim and Mary Kearl Library Board, Town Representative on the Chinook Arch Regional Library Board, Cardston Emergency Services Board (Fire Department) and the Cardston Emergency Preparedness Committee. My name is Paula Brown, nineteen years ago my family made the great decision to relocate to Cardston. A decision that has been of great benefit in our efforts to raise honest, hard working, and productive children. During that time, I have had the good fortune to volunteer with many community organizations and learn from some truly inspirational people. Some of those organizations include: CES parent council, Vice-President Cardston Soccer, various positions with Cardston Minor Football, and Cardston Girls Choir. These volunteer positions have allowed me to contribute to a community that provides opportunities for my children as well as others. I have spent many years working with government departments and representatives, as well as the local business community to raise funds for worthwhile causes. Some of these causes include helping to find funding for our new pool, building our beautiful soccer and minor football fields, funding for soccer programs, Ford Test Drive programs to benefit Soccer and High School Football. During the last two years, I have been fortunate to serve on the FCSS board with the town of Cardston. I started volunteering in Cardston because I wanted a say in the programs that my kids were involved in. Then I realized that being part of a volunteer organization was really rewarding,because I got to work with so many amazing parents whowanted the same thing for their kids. One of my favouritevolunteer activities is coaching. I have spent sixteen years coaching swim club and in Cardston Soccer, working with children from the age of three to high school teams. Working with the youth is one of the most rewarding experiences I have had. There is nothing like seeing our children work hard and then use the skills they’ve gained to compete with integrity and sportsmanship. It is exhilarating to see young people do their best to represent our community, whether at a Summer Games or just an away game in a neighboring town. I have always tried to personally represent Cardston to the best of my abilities. Cardston is the place my husband and I call home and we take great pride in our community. Serving on Town Council is another opportunity to contribute to this community, one that I feel I have received great training for. The challenge of building our town into the 21st Century is one that I look forward too. I believe that Cardston is and should be a place where families can support and raise the next generation of great Canadians.